What/who do my fellow YARs recommend I read, listen to, watch or talk to before I go? If you’ve been to Bolivia, or Santa Cruz, or even this orphanage (like Denver), what do you wish you would have known before you went? What should I pay close attention to while I’m there? What surprised you the most? What do you wish people would ask you about? I’m not talking about what I need to do legally or transit-wise. I’ve got that covered. Those questions are much more straightforward. For what it’s worth, I already speak Spanish. It’s not as good as it will be, definitely, but I didn’t just let my Spanish die after graduating from college with a Spanish minor. I spent a semester studying abroad in Spain in 2003. I experienced a small amount of culture shock with that, given that Spain is a lot more like the U.S. than Bolivia is like the U.S. My questions and passions about life and faith are a little different than they were then. I’ve kicked myself plently of times for opting to go to Europe instead of Latin America. (Don’t ask. It’s embarrassing.) Through my various immigrant friends, most of whom are Guatemalan, Mexican and Columbian, I’ve already had these Nationally Debated Issues brought into a deeply personal context for me. It will be interesting to go, myself, to one of the many places from which people are emigrating. Also, when I filled out the volunteer application, it asked if I or anyone in my family have struggled with alcoholism, drug abuse, addictive behavior or homosexuality. (Such a wonderful list in which to include sexual orientation, eh?) Since they asked… I talked about my aunt, who came out as a lesbian about ten years ago, and the turmoil that caused since she was married to my uncle and had two young children. Then I clarified that I don’t believe it’s a sin to be lgbtq (I didn’t use that abbreviation, though) and Christian standards on promiscuity apply to all people regardless of their sexual orientation, in my view. It doesn’t seem like that belief is going to stall my application, though, based on the response I received today. The first responder to my application also cautioned me about to whom I reveal my profession. I’m going as a volunteer/tourist, but I was trained and have worked as a reporter. It’s not like I’m going to magically not be a reporter en mi ser because I’m washing dishes and wiping snot from toddlers’ noses. I have zero media contacts in Bolivia… but knowing me, if something big did happen in Santa Cruz, and I had the right sources… it’s conceivable I could write something and sell it to AP. But that’s pretty unlikely. In the mean time, I suppose I put down my profession as volunteer or something. If anyone asks what I did before being a volunteer, I’m not going to lie. I have nothing to hide. Orientation guide to mission trips” Its geared toward “teams” going on short term missions but would have a lot of carry over I believe. Can I email it to you or post it here somehow? Hi! My name is Charis and I own a site called BoliviaBella.com. I’m American but grew up in Bolivia and have been in the US for the past two years. Take a look at my site. It’s completely in English and there are TONS of facts about Bolivia under the Bolivia section, about living in Bolivia under the Live Here section, about tourism, things to do and many other things of interest. There’s even a page about churches and missions at http://www.boliviabella.com/churches.html. Maybe you can contribute some thoughts sometime and I’ll post them. 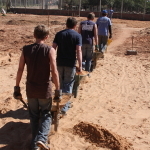 I also have a section on volunteering – I’d love to include you there if you like. Keep in touch! p.s. My site is exclusively about Santa Cruz – thought that might be of interest to you. Thank you for responding. Charis, your site is fascinating! Ben, I read over the document you linked, and you’re right: it is definitely aimed at one-two week group trips. Some of it will certainly be helpful. But I was hoping for some comments from some of the YAR regulars, those who might be able to lend a “Been there done that got the soul searching to prove it” voice to the discussion. Not that Charis and Ben aren’t experienced, of course. I’m glad to hear you’ve decided to go. Cross cultural experiences can be amazing personal growing experiences. And this is probably my first piece of advice (and you probably already know this, but at least it is a reminder), to recognize how much you PERSONALLY will be taking away from this experience. I think well meaning people sometimes go with “saving the world” notions, especially in a 3rd world country, and when a culture operates at a different speed or pattern, sometime more damage can be done then good. Instead, if you realize that you are benefiting, then hopefully you can work at a mutually beneficial exchange, instead of “I’m the one doing the helping.” I think this attitude helps break down certain power structure ideas (although there are other YAR members who can speak to this far better than myself). (1) When you have questions, or feel homesick, lean on someone from your own culture who is serving beside you and who you trust for advice. It sometime is easier to work through cross-cultural issues with someone who has been there already. (2) Expand your comfort zones and intentionally get to know people. (3)When you come back home to Ohio, changed by the experience, you will come back to a home that hasn’t changed, people who haven’t had that experience. They may show some interest, but often just want the two sentence summary. Seek out others who have had similar experience to process some of your reentry experience. On a separate note, your post triggered some thoughts that may be somewhat of a tangent from what you were actually asking, and probably merits its own thread, but here it goes. What do you do when you enter a culture where Christians hold different viewpoints on women in ministry, origins of the earth, alcohol, and homosexuality (to name a few controversial issues)? If someone from your own culture makes a statement like, “the Bible forbids women to be a pastor,” it easy to label them as sexist or out of touch. However a Christian in another culture who believes differently then you on a specific issue, there is temptation to think of their way of thinking is “backwards” or inferior. When you go there, don’t you risk racist attitudes? I have to admit, this is something I struggle with too. Sometimes I get all smug because I feel like I’m better educated on the topic, or have been exposed to more cultural understanding or a better scholarly understanding of the Biblical text, and so I’m tempted to think of someone’s understanding as inferior. The way I try to deal with walking that line of knowing I’m right vs. thinking their understanding is inferior is to be very respectful and humble and choose which battles to fight when I’m dialoguing about controversial issues. ESPECIALLY when I’m not in my own culture, I think I need to be even more sensitive to how I approach differences. It’s the moments when I actually seek to understand and listen to people who I might have labeled “uneducated” or worse, that I realize how far off my own understanding is on some things and can learn and grow from meeting them. For example, I am constantly humbled by the generosity shown to me by people who do not have the same financial resources as I do. They remind me how much a slave I am to my own wealth and comfortable living (the camel passing through the eye of a needle thing). Okay tangent is over. Blessing as you prepare to journey south! You probably haven’t seen the emails I’ve sent to Julie (one of the orphanage administrators, and Denver’s cousin, for those who don’t know) or the application that went through your parents before going to the directors. Your first piece of advice is something that’s been on my mind a lot lately: I know that what I have to give is not very much. I will probably get a lot more in personal growth than I could possibly give to someone else. I’m not going solely for the personal growth and learning, which would be more self-serving than I like to think I am, but I do hope I can be useful in supporting someone else’s ministry. On your thoughts (2) and (3), I have some personal experience with that one. I didn’t take full advantage of my time in Spain when I was there, partly because there were so many U.S. people there it was easy to just be comfortable around them. I think my recent experience as a reporter has equipped me to feel more confident about talking to random people than I did four years ago, and my language skills are better going into this experience than they were going into my semester in Spain. That should help out a lot. Not having as much computer access (UB’s computer labs) will help, too. It was too easy to just talk with my friends online and avoid interacting in the culture. So I learned that one the hard way. And on the re-entry point, I didn’t know how much I’d changed in Spain until I came back. Suddenly, I was back under my parents’ rules when I’d been treated like much more of an adult by my host parents. As much as some days I didn’t feel like interacting in Spanish in Spain, I missed speaking Spanish when I returned and was practically crawling up the walls for only hearing English. I expect that Bolivia, being much different than both the U.S. and Spain, will change me more than Spain did. But then, I’d never been away from home before I went to Spain, and now I have, so it could go either way. I also appreciated your tangent. I’ve been pondering a lot of how to reduce the elitist in me. I know that nothing I do could possibly happen with totally pure motives. Or for that matter, that anyone can do something solely for someone else. We do things because we believe they will make us happy. Maybe not right now, but eventually. I’m trying to figure out how to balance that with all the privileges I’ve had and the mindset I’ve picked up because of them. I don’t want to repeat what my grandparents did: They spent two years in the Peace Corps in Jamaica in 1985 and 1986, as English and physics teachers. I think they really did care about the poor people they were working with, but when they talk about Jamaica now, it’s always the negative stuff. They hosted three or four Jamaican students while they went to school here, when I was a kid. I asked my grandma a year or so ago if there was anything she missed about Jamaica. Her response was to list a bunch of things she hated, like loud music at night and widespread crime. I don’t know exactly how to interpret that, but I know I don’t want to leave Bolivia when I’m done feeling like I’m better than the people there. I’ve got a lot of humbling to do. Thanks for writing about your trip — as of late I’ve been trying to do more discerning in community as well, and I appreciate your invitation for counsel from this group. When it comes to humbling myself, few can do it like Ivan Illich’s “To Hell with Good Intentions”. It’s an article to which I’ve returned multiple times, and is great for laying out some clear critiques of US folks serving in Latin America. Not that I’ve gotten solid answers, but wrestling with these two pieces has led me some great conversations, new approaches, and what feels like a more genuine and honest approach to the issues at hand. I’d be interested to hear what you think. I’d like to think that the level of Spanish I speak and understand will give the people with whom I interact in Bolivia the ability to tell me to knock it off when I’m doing more harm than good. But I don’t know any Quechua. And, I have been to U.S. ghettos on service trips. Four times. The largest was certainly Philadelphia, Diamond Street Mennonite Church, but we weren’t there to “help people help themselves” or whatever. We were helping scrape paint off doorways and windowsills in preparation for the congregation moving its sanctuary to the second floor of their building. (For some reason, the maintenance man who got us started thought girls couldn’t scrape paint, but he turned out to be slightly misinformed.) I don’t remember being ridiculed or laughed at by the locals, but we hadn’t come with the idea we were their saviors or anything. The youth leaders were pretty clear about the need to be humble and just learn. I also went on three week-long service trips to the inner city of my hometown. I had no idea how people live in certain areas of town, so it was definitely eye-opening. I was affected a lot more than the people we purported to serve. Those people will look rich compared to Bolivians, I expect. No one criticized me then, either. Perhaps if they had, I’d be better off or at least have a deeper understand of what Illich said. I have a lot more to think about now. Sure, I’ve pondered how to portray U.S. life when I’m in SA. Is it better up here? We certainly have more stuff, but are our lives richer and fuller because of it? Probably not. The second link you provided was the same as the first. Could you link me to the Aboriginal activist group? Thanks! i was just there last week. things are going well. know that you will be working alongside some people who have been there a long time, which is helpful. get a money belt. and get ready to ride in super fast (but fun) micros which go everywhere. know that cruzenos (mostly mixed race people who were born and raised in santa cruz) are generally fairly anti-people from the highlands and anti-indigenous people in general. cruzeno society is also excruciatingly materialistic. some are fighting for autonomy from the rest of bolivia an are angry that power sharing and unity is now being demanded by the government. I took a picture underneath some huge graffiti scrawled on a cemetery wall that said: “Away with you country heathens and Mennonites.” I originally thought that they were talking about me, as a Mennonite…but it turns out they were talking about the Mennonites from the German speaking colony, who are very conspicuous looking (think super conservative Amish rolling Spanish Harlem NYC in buggies) and are at odds with the city world. (You can learn more about the German-speaking Mennonites and their agenda at Centro Menno, next to MCC). In general the graffiti shows Cruzeno opposition to difference and diversity. read up on the political situation so you have an idea what people are talking about. santa cruz is extremely anti-evo morales, but the altiplano is not. check in with mcc bolivia when you arrive. there is an english potluck every thursday. i had fun sining hymns there…it’s been a while. there is a whole North American missionary support structure set up. bible studies using a houston based DVD sermon set, potlucks, schools, english church, etc. be aware: most of the missionaries in bolivia live in a neighborhood called “hollywood” and have not integrated much with the culture, but have taken a “home away from home” approach. mcc’s (and stansberry’s) approaches are very different. enjoy the difference. it makes a difference. I wish I had known that there is more than one kind of poverty, and that building relationships is more important than any measurable work one can accomplish—albeit way more aggravating and messy. The fish market on Calle Florida used to sell really good ensalada de fruta. Eat all the food—even from street stands. (You’re lucky since being a vegetarian gets you a pass from the sketchiest stuff.) Get tested for amoebas before you come back—even if you don’t eat street food, you could still pick up something and doctors here generally don’t have a clue when it comes to tropical illnesses. Don’t bother with malaria pills. Go to one of the Jesuit towns if you get a chance, and get Chuck and Cindy to take you to the Mennonite colonies if you can. I never made it there, but I’d recommend a trip to Sucre or Potosí—go to the mountains at some point (and no, Samaipata—while cool—doesn’t count). I totally agree with ST about the racism and prejudice and also going to MCC potlucks. Pay attention to the sort of gospel that gets preached in most Bolivian churches: what must you do to be saved? How does that compare with the social situation you see around you? Ditto on the gringo church. I once got invited to a women’s English-speaking Bible study in the wealthiest barrio on the city where we sat in a room with carpet and sofas and they all decided that poverty was just sad (with no sense of personal responsibility). It made it both easier and harder to feel self-righteous after that. Sorry about the false link. Here’s the right one link to background on the “If you’ve come here to help me…” quote. As for the critiques of domestic service from folks in the US, INCITE! Women of Color Against Violence has done some great writing on the Non-Profit Industrial Complex. How a large sector of the US population makes its livelihood by “managing” poverty in the US, and effectively keeping the poor and marginalized from challenging the conditions that bring about poverty. But they say it much better than me. Perhaps soon I’ll try to link to some of their good stuff, but it’s pretty accessible via our friend Google as well. Thank you, ST, Lora and Jason. I was wondering how the Old Colony Mennonites in/near Santa Cruz were perceived by other locals. I wrote a story last year about Holmes and Tuscarawas county (Ohio) Old Order Amish going down to Cuahtemoc, Mexico, to help the OOMs there improve their schools and sanitation. I read on MCC’s website not long ago about the OOM colony in Bolivia and how MCC hasn’t been able to send any OOA people there to help because OOA people don’t fly. It was a fascinating story, but I knew nothing of public sentiment toward the OOMs. It was just an interesting piece about what some local people were doing that might surprise Englishers who think Amish people just work on farms and sell pies. Since there’s a certain amount of disdain toward anybody who looks “Amish” in my area, it’s certainly not surprising people with similar practices would also be disdained in Bolivia. And even more so because of the ethnic and privilege factors. I hear there are established Mennonites in Belize, too, but they’re upper middle-class and have private planes and the like. Lora, what did you mean by “more than one kind of poverty”? Is that the definition of poverty we have in the U.S. vs. the definition(s) of poverty Bolivians would hold? Based on your descriptions, it doesn’t sound like the English-speaking potlucks and Bible studies are where I should be spending my time. I’d be up for a good hymn-sangin’ now and then, but I think it would drive me nuts to repeat what I did in Spain. I spent way too much time with people from the U.S. Well, I suppose I learned (at least in part) that lesson in a place where the impact of my choices wouldn’t be as great. Really, who was I going to hurt in Spain? I wasn’t even pretending to be a volunteer there; I was an exchange student. Thank you for the heads-up on the machismo. I’m not exactly relishing that part. How does one respond to the catcalls, wolf whistles, etc. without coming across as a person from the U.S. who just wants to make Bolivia “Little U.S.A.”? Thus far in my life, I’ve pretty much ignored such machistic actions when I’ve experienced them. Should I continue? I’m afraid I don’t remember your brother’s name. It’s going to come to me in a second. Does he still have his big, bushy beard? A friend invited me to visit her in Brazil, so I hope to spend a weekend doing that. (She’s originally from Brazil, and we met on a vegetarian message board.) Do I need a visa to enter Brazil from Bolivia, or is my U.S. passport enough? Jason, I’ll read the link in a bit here and comment on it separately. You can do what you want about the machismo. Resisting sexism is not only done by US Americans. Women all over the world resist sexism and machismo in many ways…they have done so for centuries. Being anti-sexist is not being pro-USA, and US women were not the first to think of the idea. Machismo also exists in the USA, it is just that we are very used to it and have each personally refined ways to deal with it as we’ve grown. The same can be said for Bolivian women…they each have their own way of resisting (or collaborating) and there are some collectives working on the subject, in conjunction with poverty alleviation and income generation. See Cris and Lindsay when you get down there. They can show you a great Chinese restaurant and tell you about some camouflaged ways they are in solidarity with women who are resisting sexism by creating greater spheres of influence and independence from the patriarchal system. As far as machismo, what ST said is right–sexism is resisted around the world. It turns out some of our American values are shared and good ones; who knew? :) Ask Bolivian women what they do (but know as a gringa that you’ll likely experience a different, stronger kind of harassment). I mostly ignored it; in fact, I got so good at ignoring men that when an American male MCCer walked by in a plaza and said hello, it didn’t register until he was 30 feet past me. What I meant by “many different types of poverty” is that we’re accustomed to think of poverty as a lack of material wealth, and we never really talk about spiritual poverty or a lack of community. One may be poor in one area and very rich in another… I applaud you for not wanting to spend much time in the gringo world, although if you find in the middle of culture shock that you’re wanting some outside perspective, the MCCers there will likely be a good place to start. And I’m not sure about visas for Brazil-I’d be surprised if you need them, but I couldn’t say for certain. Most of the ways I’ve experienced sexism probably are a lot more subtle, and I may not have even noticed. How much time is healthy for a person volunteering in Bolivia to spend in contact with friends and relatives in the U.S.? I don’t want to be like the people my friends have told me about, who spent every spare moment on service trips dashing to the phone or computer to talk to their significant others. It detracted from their experience of the trip, my friends said. Certainly I will want to be in contact with my friends and relatives, and certainly there’s one person in particular I’m going to miss. But, that person’s primary language is Spanish, so I can’t “escape” from using the language by contacting my people back home. On the otherh and, it does mean I’ll probably be officially fluent before I even get to Bolivia, which should help with adjusting and with culture shock. Also, ST, since you’re vegan, perhaps you could tell me how vegetarian-friendly you found Santa Cruz to be. I’m lacto-ovo right now but would like to be vegan some day. If it makes practical sense to go vegan in Santa Cruz, then I will. I don’t know yet whether I’ll be making most of my own food or if Stansberry volunteers perhaps eat collective meals. I remember loving the way my host sister in Guatemala responded to catcalls. At 18 she was very cute, very cool, very much the belle of the small town. And when we went out “paseando” and the boys whistled appreciation at her swinging hips, she whistled back (and she had an impressive whistle). I imagine that she even winked as she sauntered by, like she held a secret they couldn’t touch. My host sister also made her older brother’s bed every morning, and washed his clothes. Her eighty year old grandmother cooked his tortillas and beans. Meanwhile, he was playing soccer with his friends. In that same town my US friend Andrea and I had conversation about our just-under-the-surface resentment of our brothers being automatically adored . . . discovering together as we talked through our experiences how it was being born male that earned the automatic adoration. Sorry, no advice Skylark. Just reminded of these things by the discussion of how sexism looks different in different cultures. Yep. I have learned the volunteers all live together, and it is up to us to decide how much and how often we want to cook together. The basics, however that is defined, are bought by the children’s home, and anything above that is on the individuals. I leave in four days! Any last-minute advice? I’m Bolivian/American…I think missionaries feel as if they must travel to Bolivia to SAVE my fellow Bolivian brothers/sisters…gimme a break! The indigenous folks of this amazing country believe in energy balance, the earth and that everything has a cause and effect. I think the missionaries need to learn so much more from these humbling people..in fact, there should be an even exchange where these Bolivian folks come to your homeland to teach you a thing or two. My family is a mixture of European and Indigenous…I am so proud of my bloodline…some family members still speak quechua, aymara and spanish…..not all Bolivians are poor, uneducated citizens…half of my family members live comfortably with degrees in engineering, medicine and law….please keep in mind that Bolivia is a balance of everything…..but what sticks out more is the AMAZING culture of the Incan!!! Spread Love…don’t give sermons and feel as if you’re saving lives….seriously, the ‘word’ lives in every culture…and GOD has many names…. I don’t remember seeing you on YAR before, so if this is your first comment, welcome and I hope you stick around. I met one person who seems to think it is his responsibility to “save” Santa Cruz residents from Camba Spanish. In hindsight, it’s kind of comical since he grew up in a German-speaking Mennonite colony in Paraguay, also speaks English and has been to the US, and is now in Santa Cruz… presumably spreading the Gospel of Prescriptive Grammar, Spelling and Pronunciation. I really wish I knew more indigenous Bolivians on a personal level. Most of the families who bring their kids to the daycare are from Sucre, Potosi, Oruro, Cochabamba and other areas of western and central Bolivia. But, it’s hard to learn much about their spiritual views when my interaction with the parents tends to be limited to giving their kids back to them at the end of the day and telling them about anything affecting their child they should know. The kids for whom I am responsible are under 2 1/2 years old. They’re not ready for any in-depth conversations, either. The situation is frustrating for me because I hear about the negative extreme cases, like a mother from the Altiplano taking her deathly ill child to a witch doctor instead of a hospital. When I ask people what good things Altiplano immigrants have brought to Santa Cruz, Cruceños may have a hard time coming up with a decent answer. The energy cycle you mentioned is new to me–well, I’ve heard of ying and yang, karma, etc., but right now it seems Cruceños would much rather chant “Autonomia!” and wave green and white flags than talk life philosophy with anyone indigenous. I just got back an hour ago from a folk concert with lots of regional dancing. Thankfully, they didn’t just do Camba dancing, but also from other regions of Bolivia. Some of it reminded me distinctly of the Bolivian dancers I saw in Ohio at an intercultural event in September. Since I’ve never spoken with them, I’m pretty sure they didn’t “teach me a thing or two,” but I was certainly glad that the Mennonite gringos at the event didn’t put up a fuss about having dancing. Although, Cruceño Mennonites can be just as anti-dancing as anything I heard back home, so who knows what’s in store.